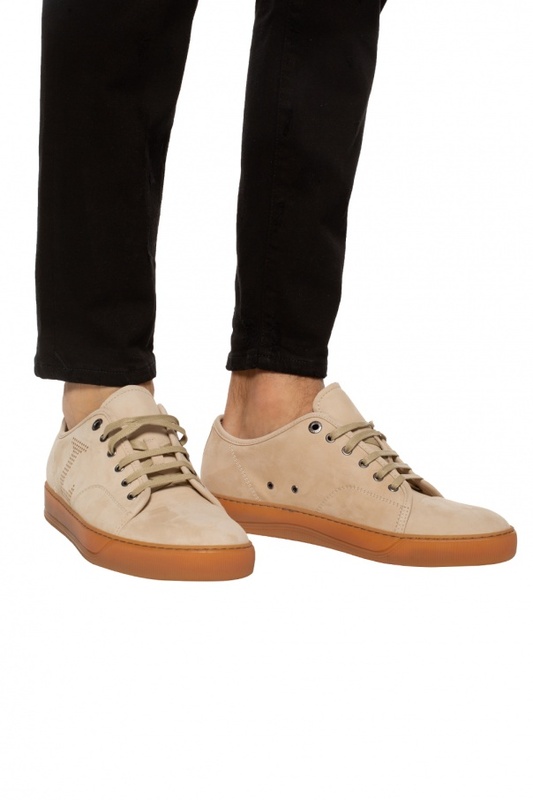 Beige lace-up sneakers from Lanvin. Made of nubuck. Enriched by perforated 'L' letter on lateral sides. Also feature light brown rubber sole.